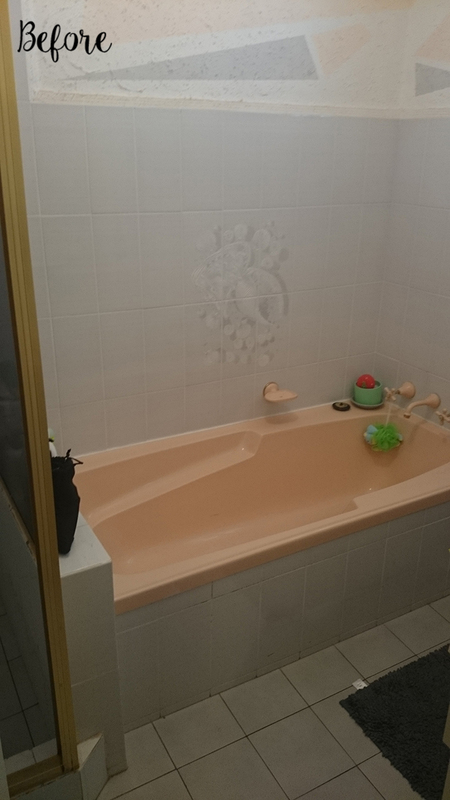 Prior to renovating, the bathroom was dark and tight, consisting of an inset bath, shower, freestanding vanity and separate toilet room. 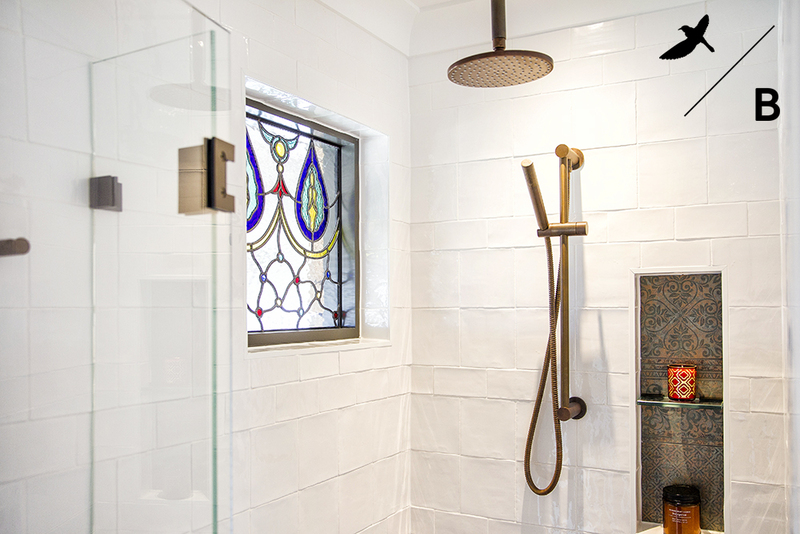 Both spaces lacked personality and a luxe factor.The brief for this project was to make the space more functional and personal. 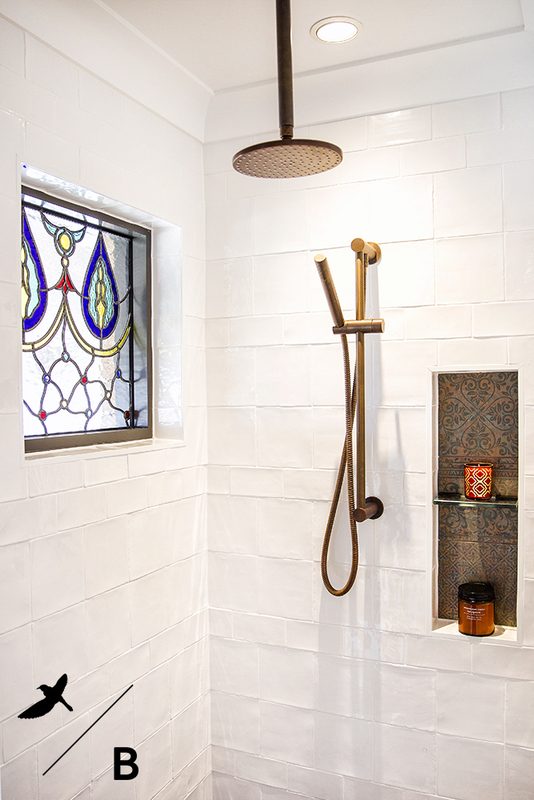 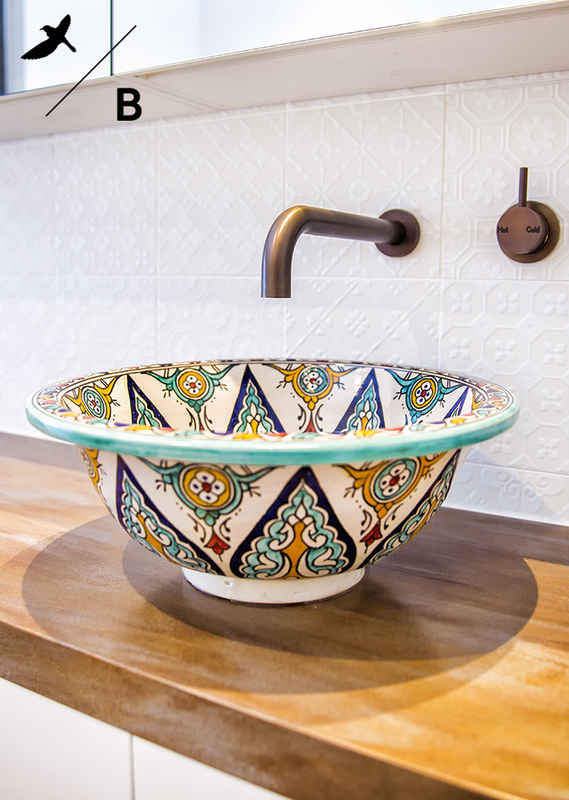 This project was inspired by the owners recently purchased Moroccan basin which was to be used within the space. 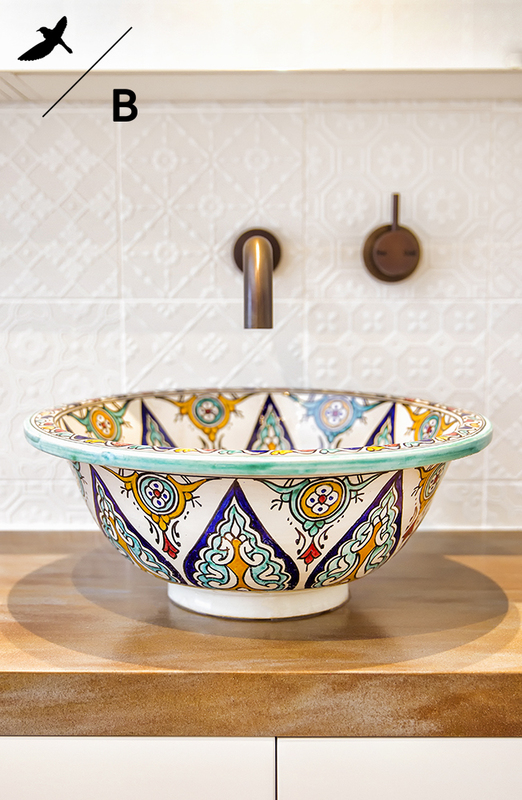 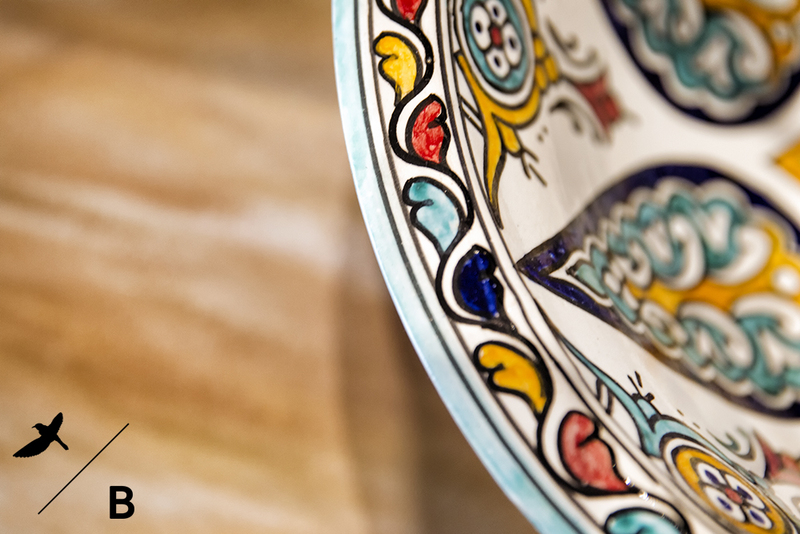 Our owners have a great love of travelling and Morocco is one of their favourite destinations. 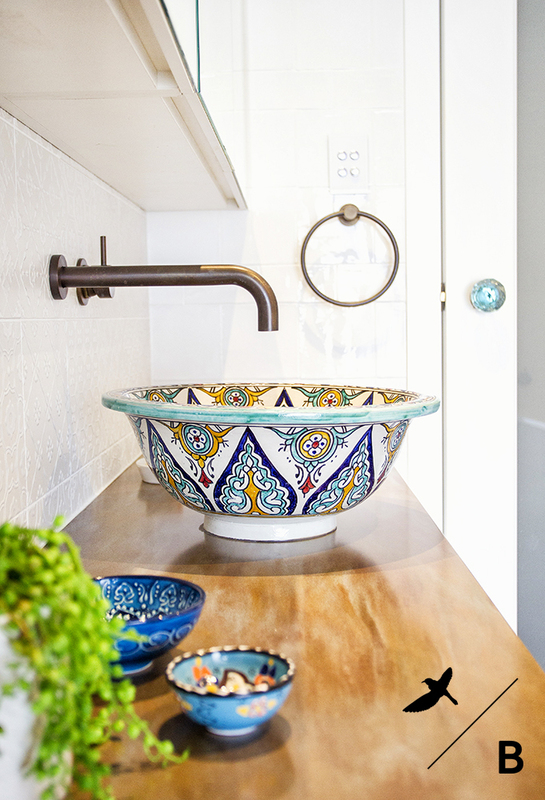 They wanted to make their own little Moroccan haven within their home. 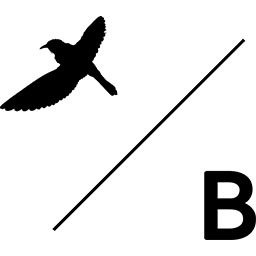 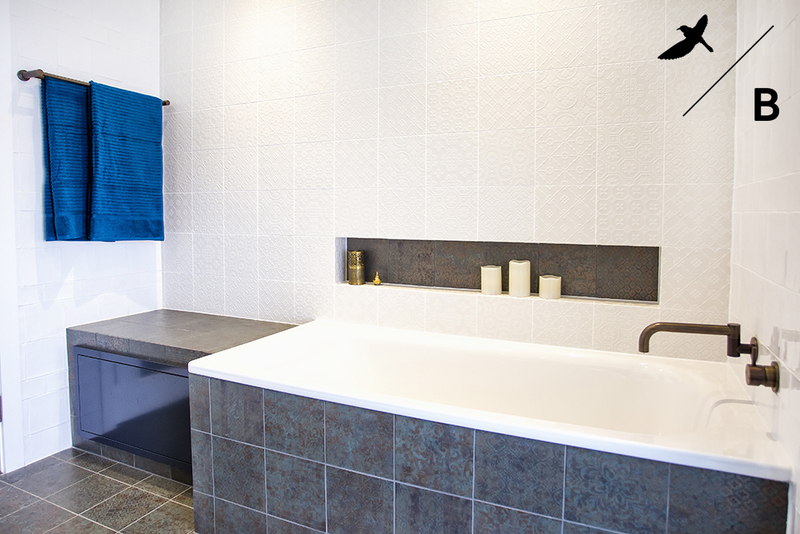 We redesigned the space with great emphasis employed on creating a larger, more functional bathroom. 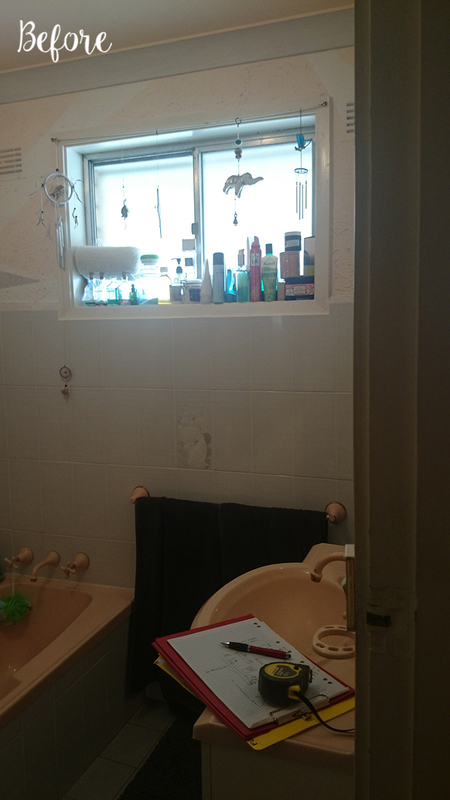 The current entry into the bathroom and toilet room was wasted space. 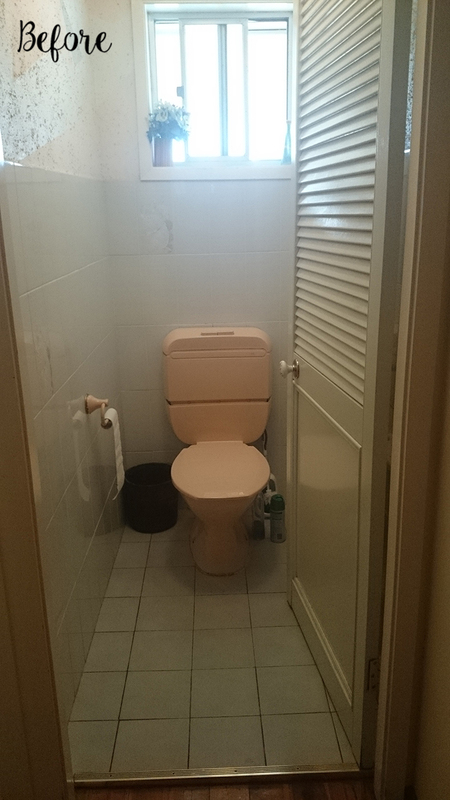 By reconfiguring the entrance into both rooms, we were able to move the toilet room forward. 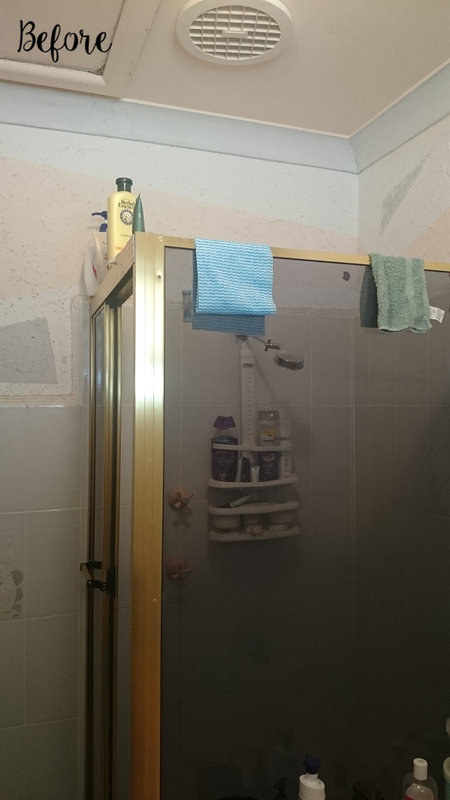 This then allowed us to tuck the shower in behind the newly created toilet space. 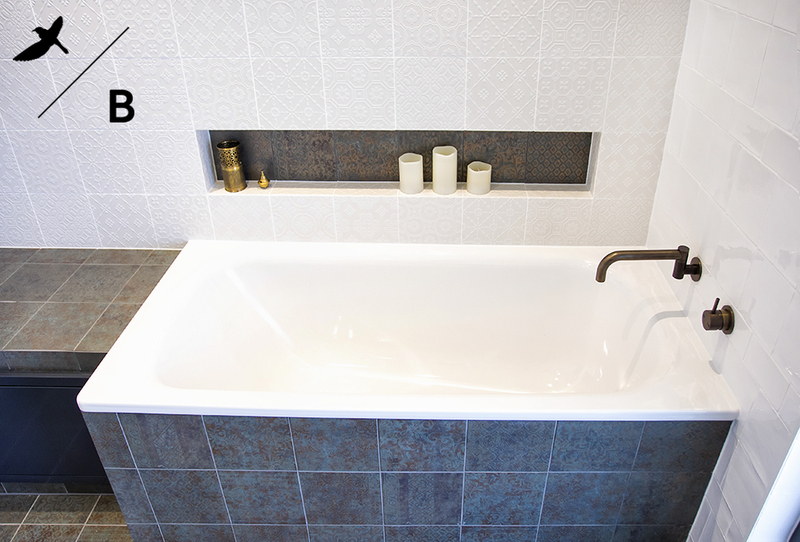 We could now include a full-sized bath with built in seat. 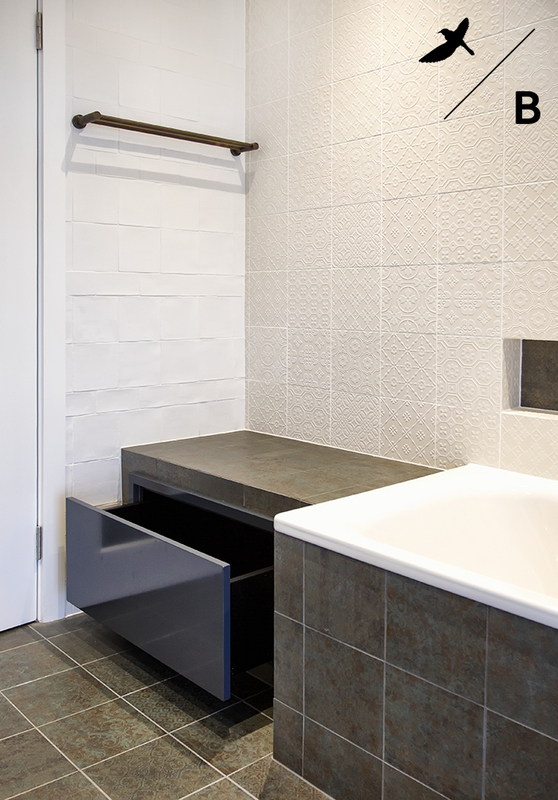 Under the bench seat we allowed for a single deep drawer for towel storage. 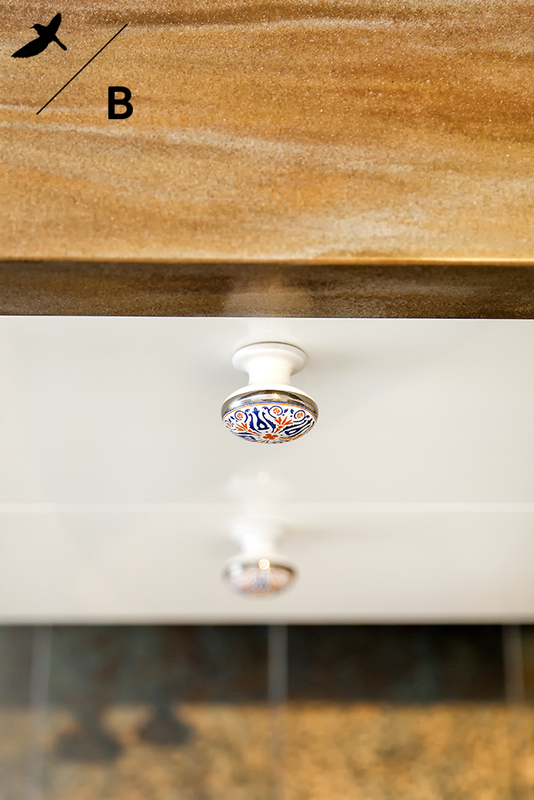 The new vanity was wall hung and along with the mirrored cabinets above now create an abundance of storage for our home owners. 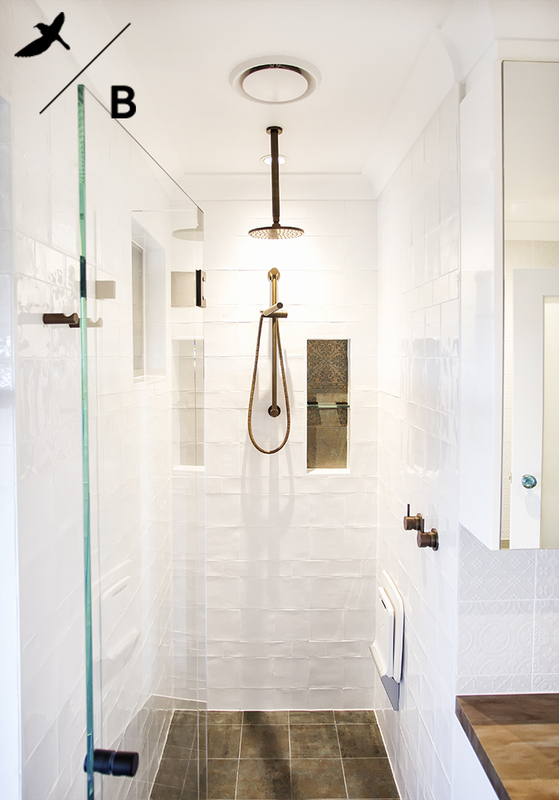 The shower with frameless screen is tucked neatly out of site. 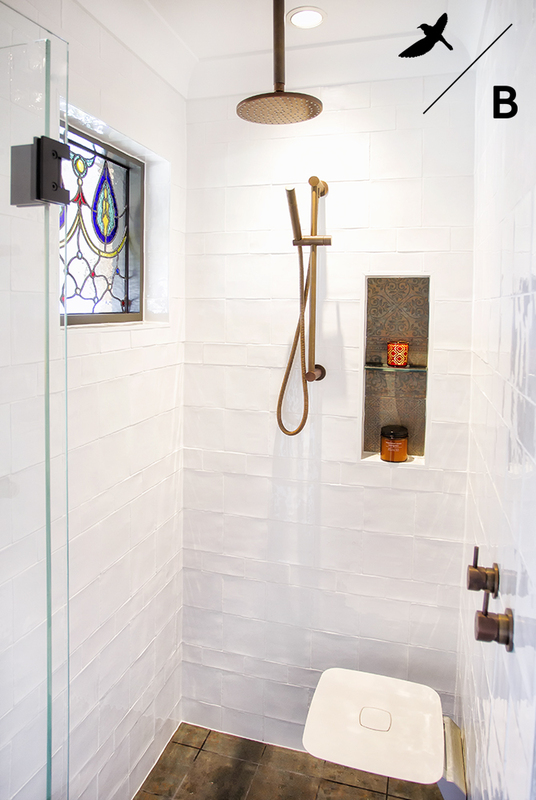 Within the shower we’ve included an elegant designed fold-down seat and recessed shower niche for all of the shower essentials.Our finishes and fixtures were selected to complement the basin. 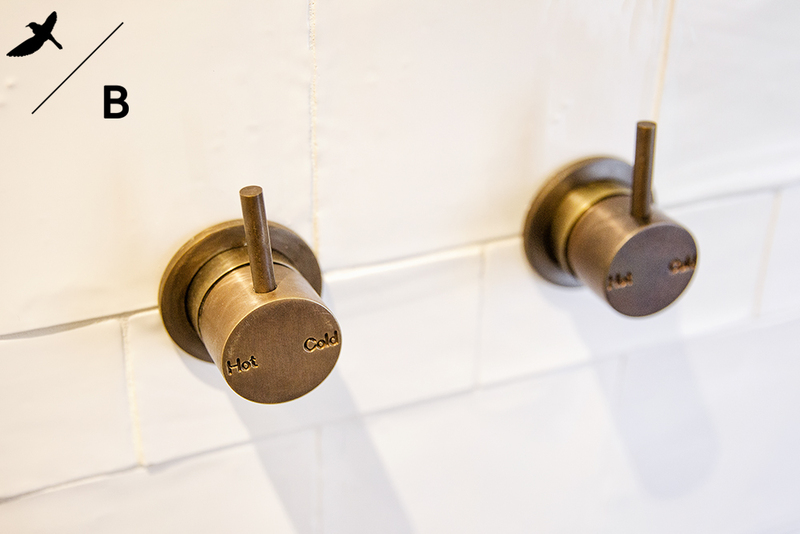 We sourced all of the tapware and accessories in a custom living rustic bronze finish which reflects a vintage touch to the space. 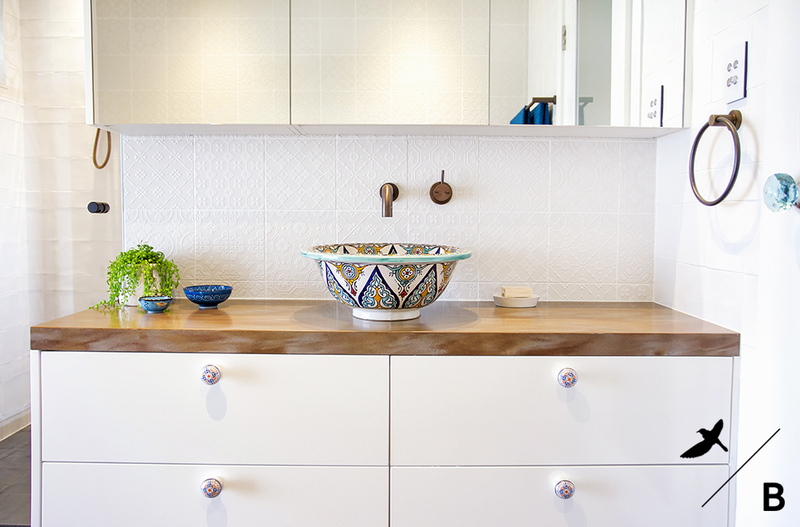 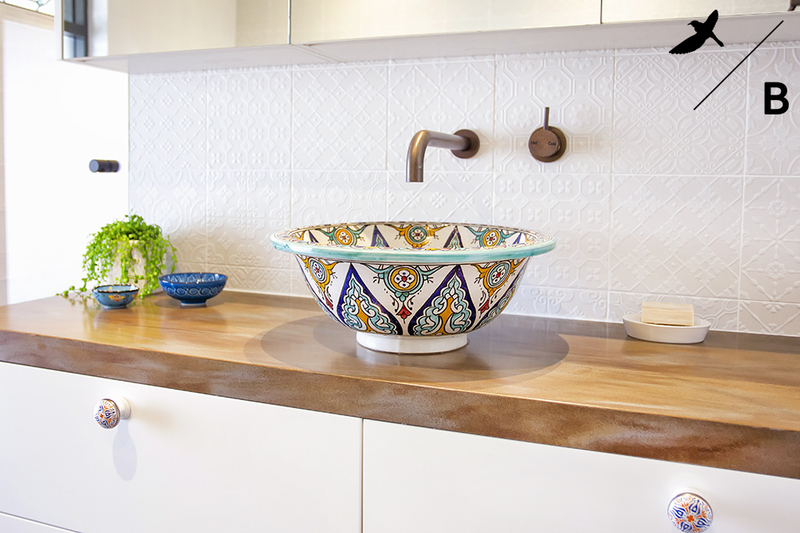 This works in harmony with the Corian Basil benchtop and the white joinery finish which receives pops of colour through the use of ceramic hand-painted Moroccan cabinet knobs. 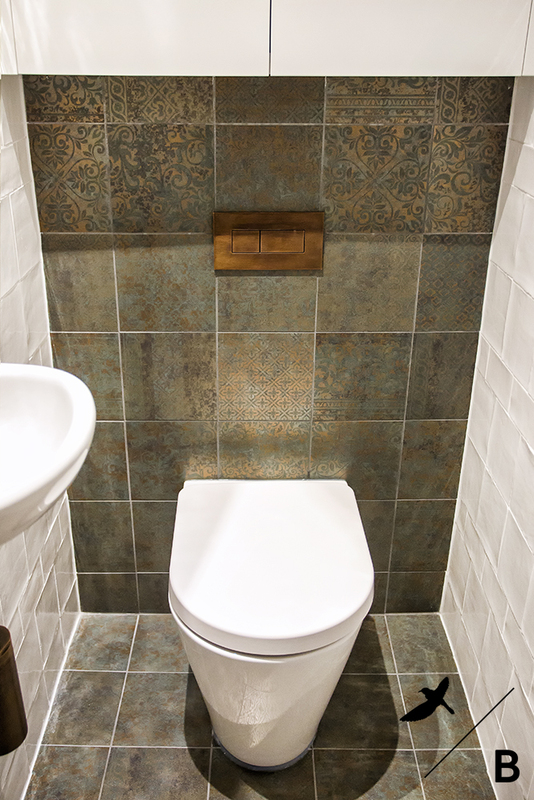 For the floor, bath surround and niches we sourced a rustic metallic coloured tile which features 9 patterned tiles in a random mix. 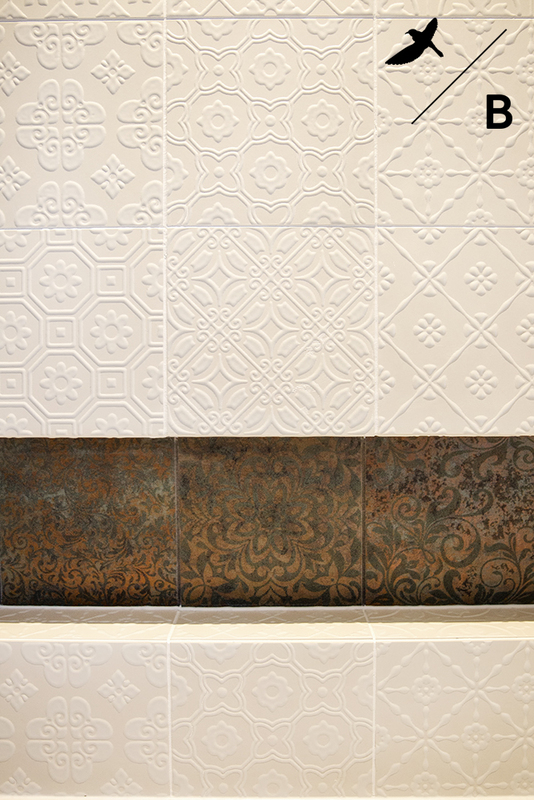 This reflects the heavily pattered Moroccan style in a subtle manner and adds a luxe factor to the space. 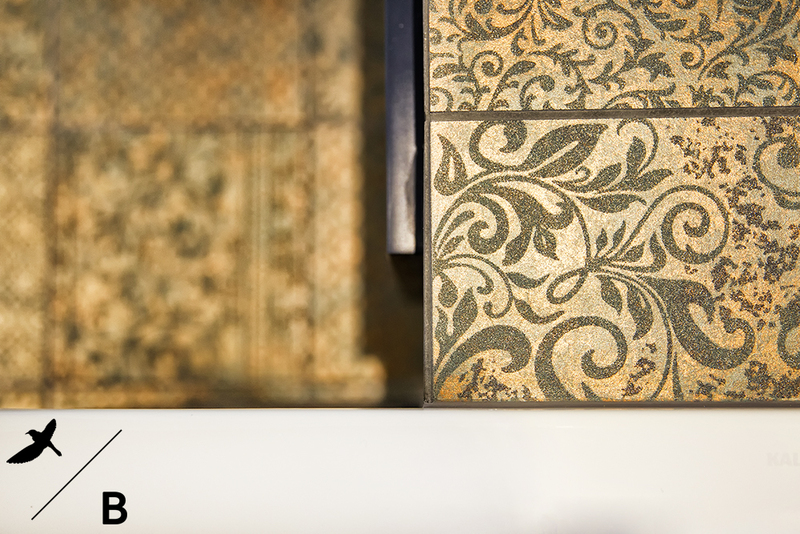 In contrast to this tile we selected it in the white version for behind the bath and the vanity splashback walls. 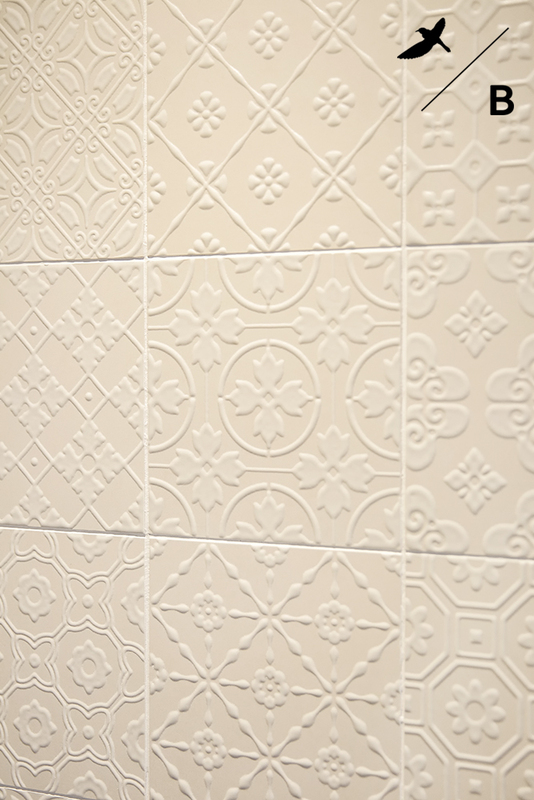 For the remaining walls we used a combination of square and rectangle gloss white tiles. 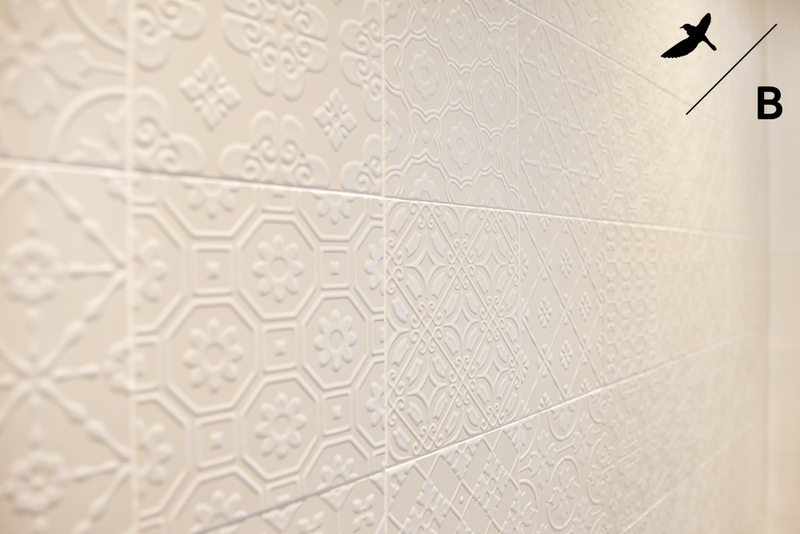 The use of white wall tiles gives an illusion of a large space and made the space bright and inviting. 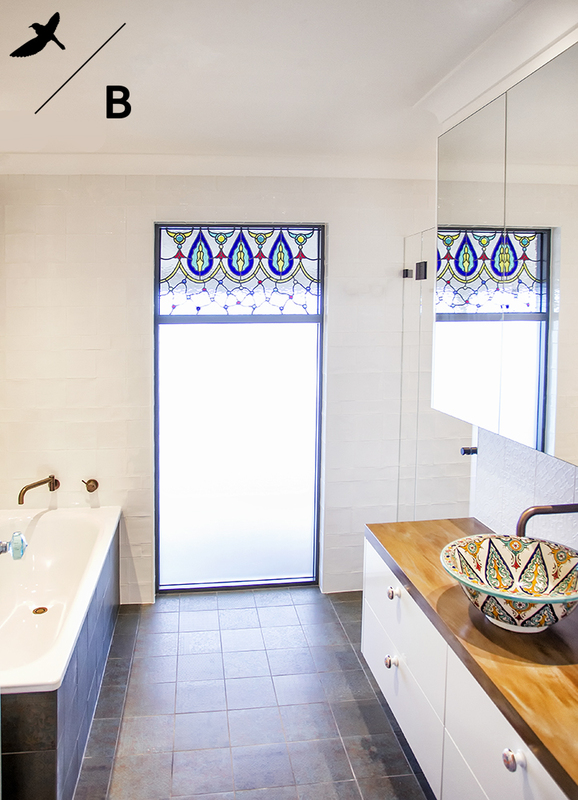 One of the most important elements that introduces pops of colour into the space are the two stained glass windows which echo the Moroccan influence. 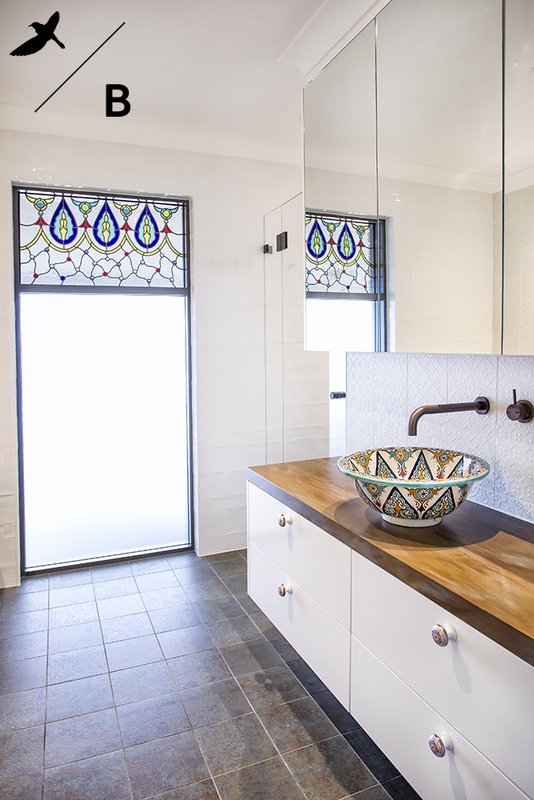 Both windows were custom made and reflect the colours and patterns found on the feature basin. 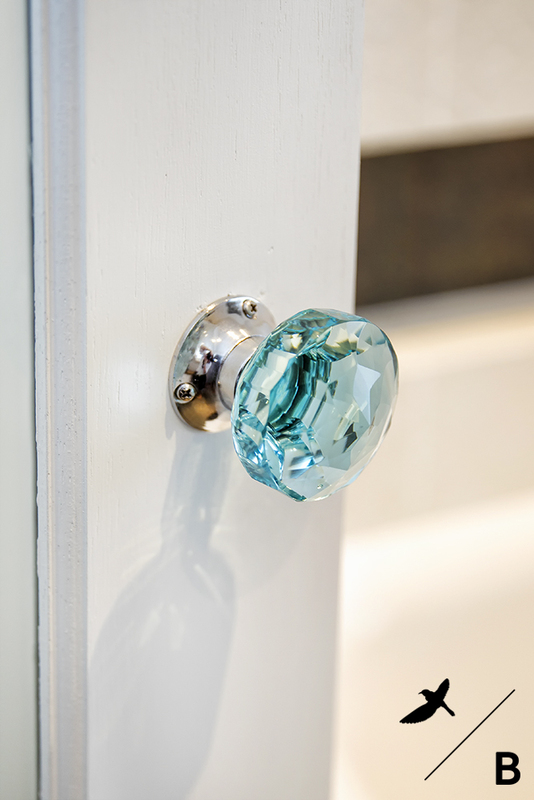 A beautiful statement to the space, capturing the eye as you step foot into the bathroom. 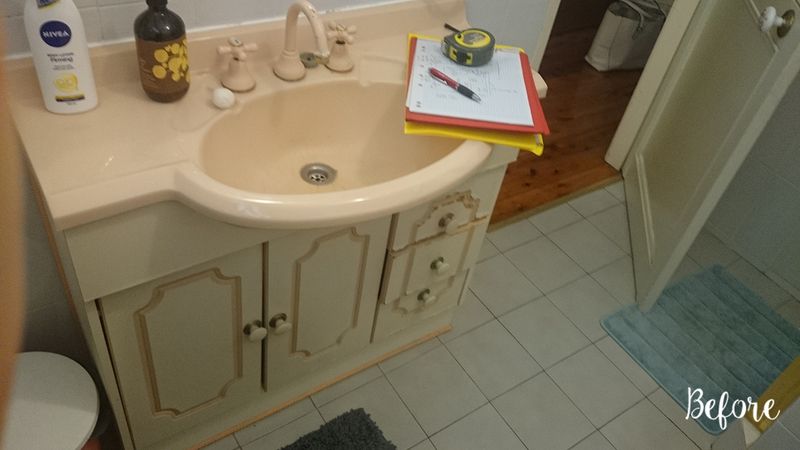 For the toilet room we wanted to replicate the design of the bathroom. 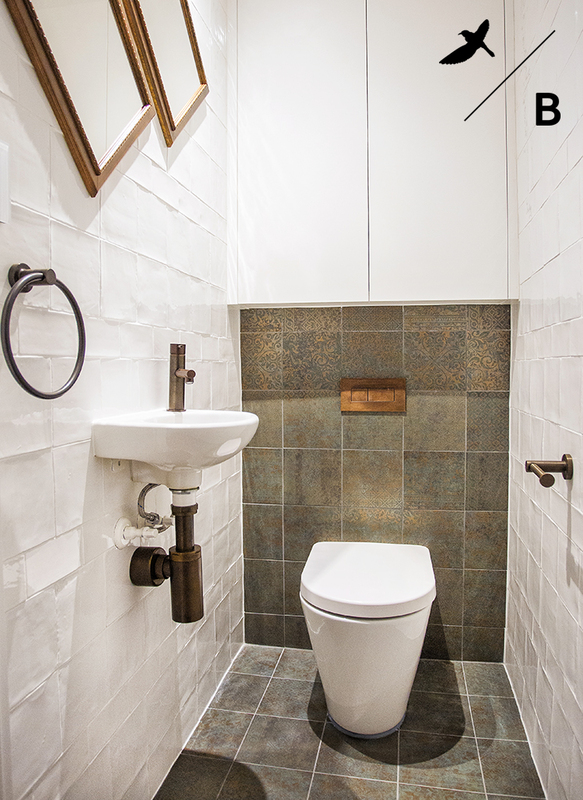 This space uses a combination of the living rustic bronze finish for the tapware and accessories. 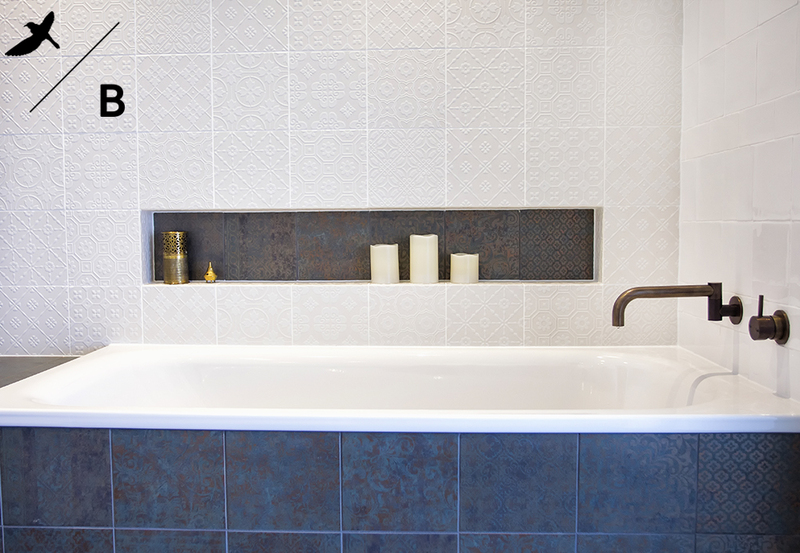 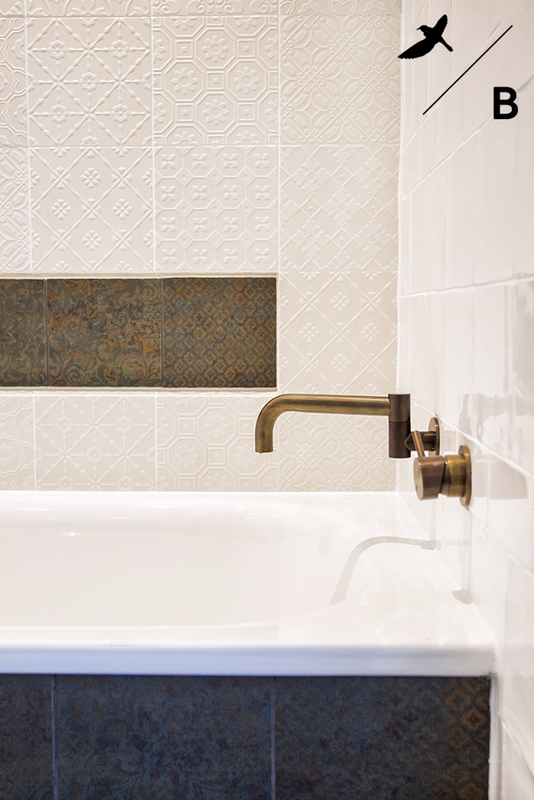 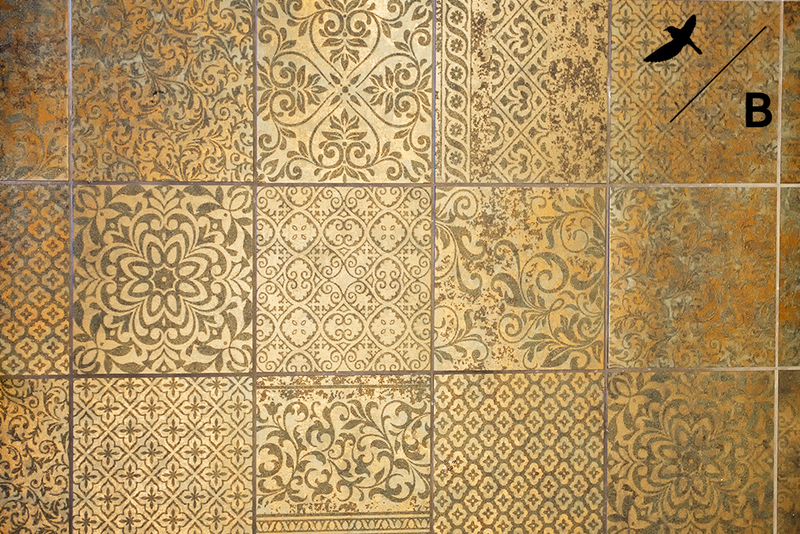 The floor tile which is the same as featured in the bathroom runs up the wall creating a luxe focal point. 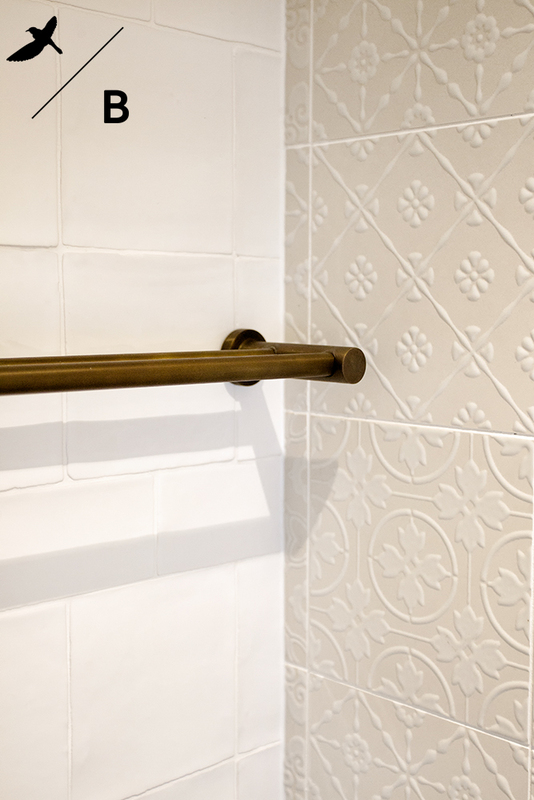 All of the other walls use a combination of square and rectangle gloss white tiles. 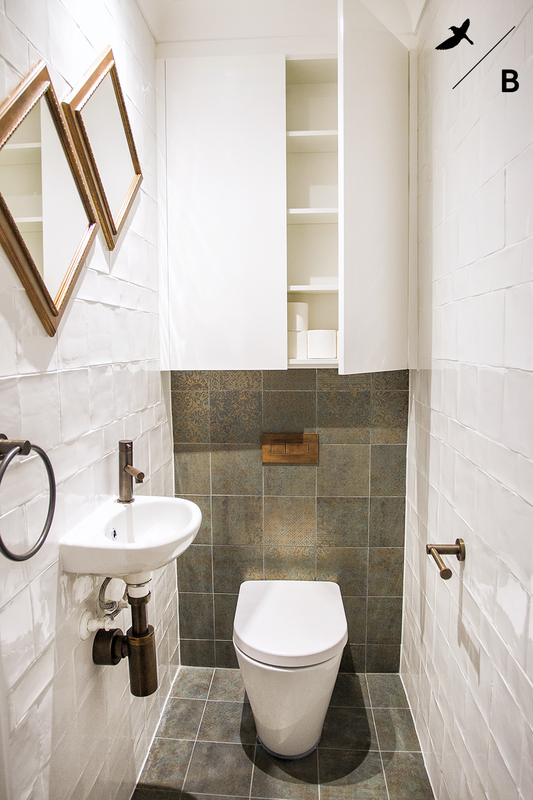 Above the toilet is a semi-recessed storage unit in a white finish. 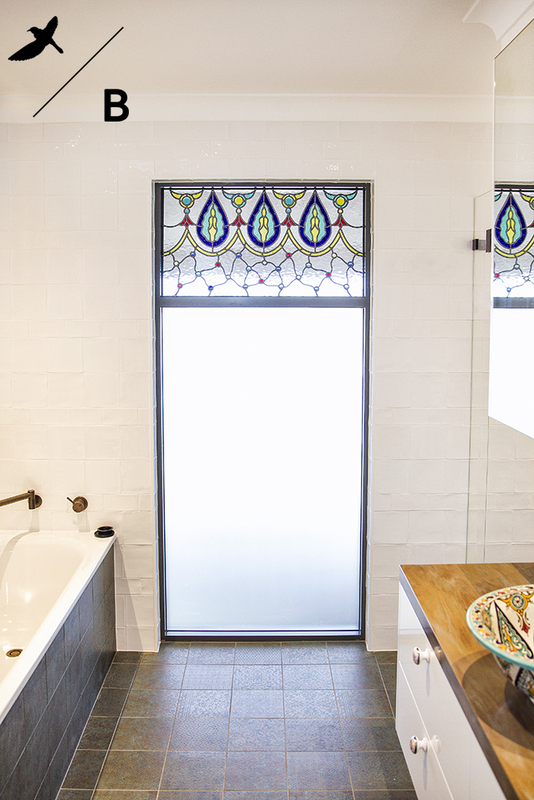 This design proves that a space can be bright and fresh with the absence of a window.